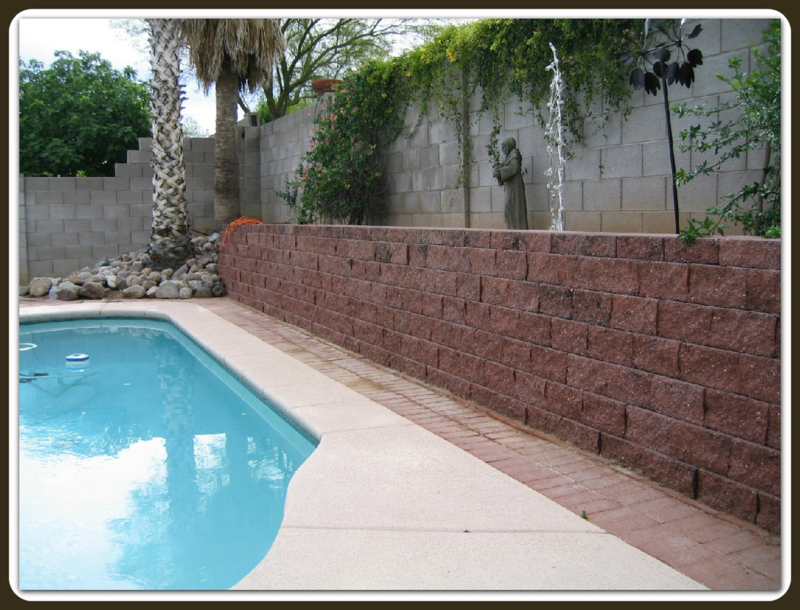 The 4" tongue and groove (4" wide x 8" high x 16" long) wall system is widely used. The blocks come in four colors: Grey, Tan, Chocolate, or Buff. There are two main differences in how they are constructed. One way is by using the "H" columns every 12 feet. This "H" column is the only part of the system that has any vertical reinforcement. This is what ties the footing and wall together. The other way this system can be constructed is by using a post tension system. It is a proven system, meets local municipalities codes, and International Building codes. 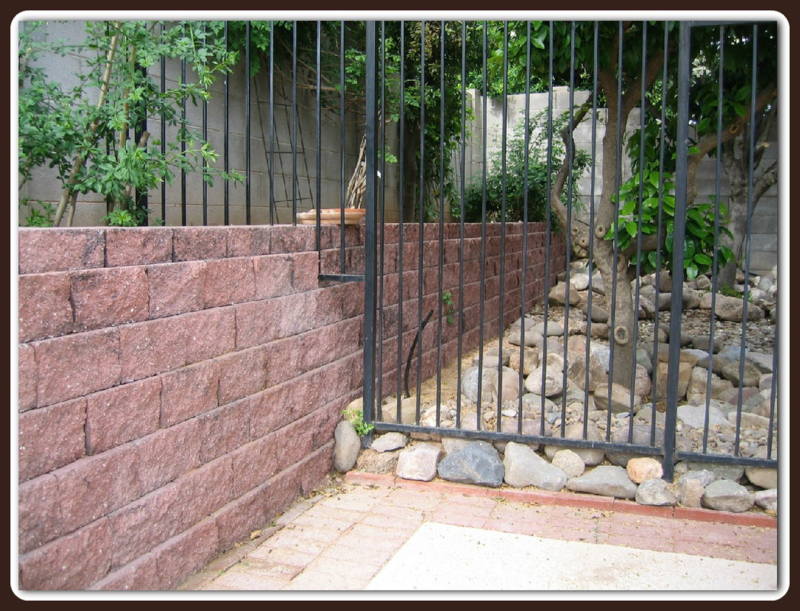 The 4" patio wall is an attractive, affordable and zero maintenance substitute to wood and chain link fences. 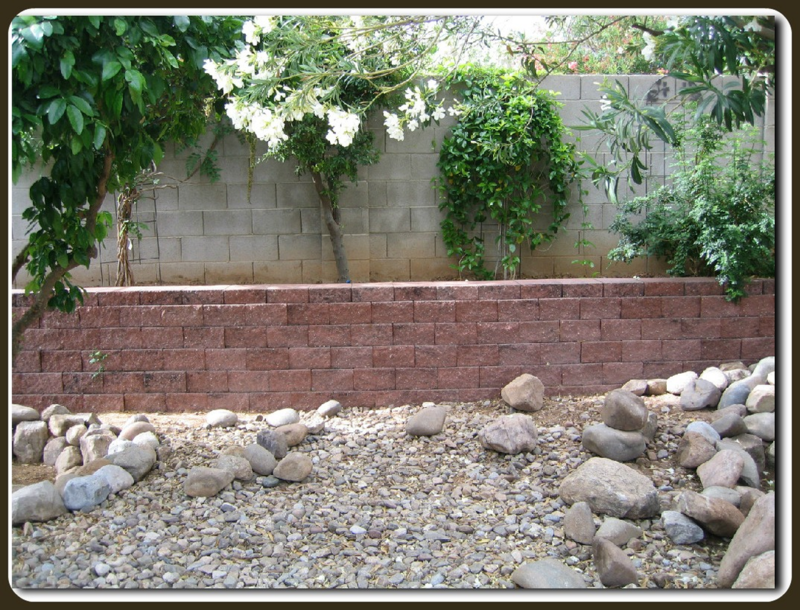 Visit our 4" x 8" x 16" Block Wall Gallery too.